While a decade ago we would have considered a 40-inch TV as on the larger size, these days with modern technology vastly changing it has resulted in bigger screen sizes and amazing graphics. Despite everyone wanting their TVs bigger (as they assume theyre better!) some of us simply dont have the room to house anything so huge in our living room or kitchen. We live in a world full of smart TVs that have all sorts of features, and thankfully even if you need to purchase a TV that is 40 inches or less, you dont need to settle for anything less than a sleek and modern looking design. Its only practical to get a TV that isnt huge, especially if you cant store anything bigger like colossal 65 inch TV's. What to Look for When Buying A 40-inch TV? 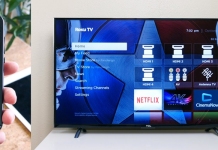 Weve put together a list of the 10 best 40-inch TVs and have included a short review of each one, you will also be able to see some pros and cons of them all to, so you can weigh up your options a little more. We have also included a buying guide, which will give you some more information on what to look for when youre buying a new TV. While its not the most extravagant smart TV you will ever come across, it still provides a nearly perfect picture quality and has a range of features you can make use of. 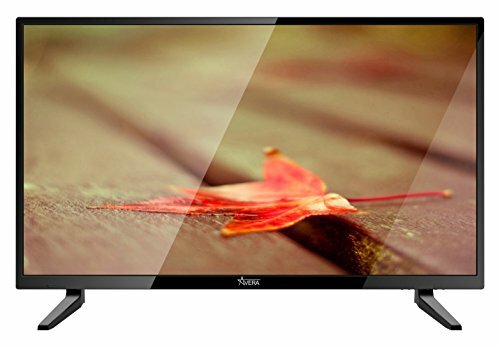 This model is a 40-inch smart TV has a good design and stands supported on a V-shaped center stand. It is able to display darker scenes on the screen with a lot of detail and doesnt struggle when it comes to being in a brighter room. 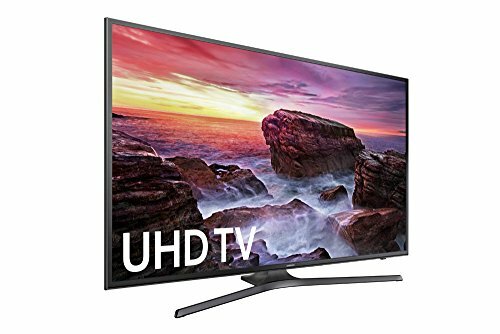 For the great quality image and features you get on this UN40MU6300 4K Ultra HD TV it is a very reasonable, affordable price. One of the best things about this model is that it comes with one remote control for everything, including the satellite box and Blu-ray player. Perfect for families who constantly fight over the multiple remotes and end up switching channels accidentally! The remote control doesnt even have to be around though as this model has a built-in microphone for voice commands, or you can use the remote control app on your phone. It is also able to provide users with a vibrant and pure colored picture with its 4K Ultra HD screen and is a sharp contrast to other HD TVs. The Samsung UN40MU6300 Ultra HD TV allows the content on your screen to come to life with its crisp and smooth image quality something everyone needs in their TV. Why We Liked It - Its more affordable than other Samsung TVs yet still has some good features too,.The 4K flat screen will leave you breathless and so will the voice command. Everyone needs a great quality TV for their home theater especially for those times the family gets together for a good time. Perfect for anyone on a budget, this UN40J5200 model provides users with a great TV viewing experience. It offers a good overall picture and quality with 1080p resolution. It has a stunning black image quality which means if youre a movie lover and want to make every day a good one to watch movies, then this TV is for you. Since it is less expensive than other TV models available it has some issues but if youre willing to work with them rather than against them then you should be fine. The sound quality isnt the best and neither is motion so we wouldnt recommend you watch fast sports on this TV. It has a large v-neck stand that is centered in the middle of the TV, so you can always know it is stable and the borders arent too thick either (theyre around 2.4cm in width!). The only thing that is disappointing with this model is the viewing angle and how much it affects the user's experience. When it is in front of you, the TV is perfect but at around 30 degrees, the color and quality starts to disappear. This could be due to the price range and style of the Ultra HD TV itself. It is still a great buy if youre looking to save some money though as many users tend to love it! Why We Liked It - When it comes to sleek designed Samsung TVs, this totally tops them all. 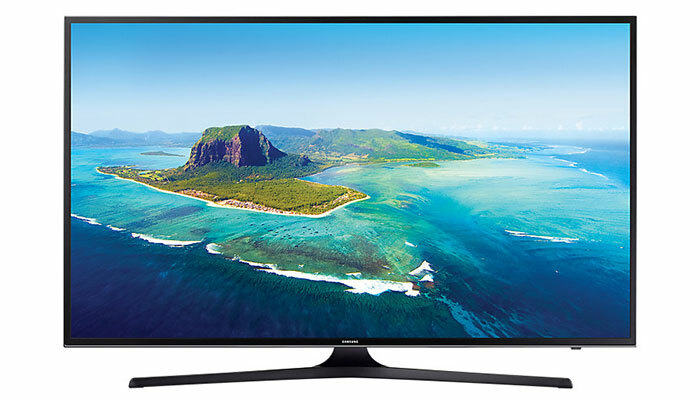 Its stable and ideal for any room in the home, so could you get a better-priced TV than this? We dont think you can! Maybe try our review on the top TVs to buy for under $500! This is another one of the best 40-inch 4K TV on the market. Despite not having stunning picture quality, it is still a great TV to watch most content on. It also supports HDR input but cant display a more colorful picture because of it. Similar to the model above (the UN40J5200) it has great blacks and is able to create a contrast ratio for when youre watching darker scenes. It isnt curved but this UN40KU6300 model has a better than average design and would look super sleek in your kitchen or living room. The design of it is still simple yet ideal for families too. However, it lacks a lot of gray uniformity as the corners are darker and black patches can sometimes be seen throughout the display. It also has a reduced quality when the viewing angle is passed around 20 degrees so its always better if youre going to buy this model to sit and watch it from the front rather than other angles. Why We Liked It -Crisp sounding, amazing 4K TV's cannot be resisted by anyone. The contrasting blacks make films so much easier to watch and the whole family should be able to watch anything they wish! Suited with a sleek design and many smart features, the Samsung's Smart UN40MU7000 model is a 40-inch smart TV that has 4k resolutions. If youre on the hunt for a TV with a low input lag (so you can play video games!) then this is a great addition to your household. Samsung's Smart UN40MU7000 can display a range of colors and theyre all perfectly displayed as well as the black being uniform and very deep so those scary movies will be even scarier. Despite being similar, this 40-inch Samsung MU7000 model is a step up from the UN40MU6300 as it has more features and has metal finished borders instead of plastic. However, it is still lower in the list of best 40-inch TVs as it has some issues. The TV display could be brighter and because of this, when there are scenes on the screen the picture quality deteriorates at an angle. When rated for motion, this model also falls behind others as it struggles to show fast-paced sports in a good quality. Other than the small issues this 40-inch Samsung MU7000 has, it is generally a good fit if you dont want to spend too much money on a 4K TV but still want all the extra features. It is definitely one of the best Samsung 40-inch Smart TV around. Why We Liked It - Theres nothing better than a wide range of colors on your TV, it makes film time a lot more enjoyable and brings the family closer together. The thinner borders incorporated on this 40-inch Samsung MU7000 TV is another things we love about it. 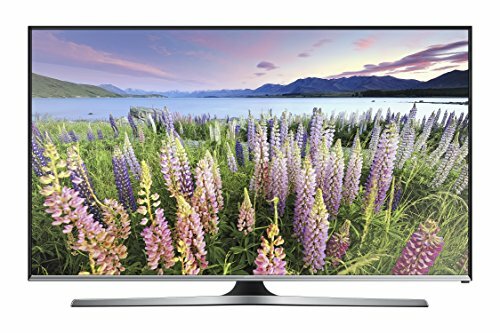 Complete with a smart TV interface and basic 60Hz, this Samsung 40-inch LED TV has great overall picture quality, which means it is ideal for a family TV. No matter if the TV is being placed in a bright or dark room, it will still work well and have a very little light reflection. The design is sleek, and the stand is centered allowing for this TV to be placed on any flat surface. Since the stand has a wide surface area, it is stable and perfectly safe around younger children or animals. When it comes to the motion blur of this TV, it isnt the best, but it also isnt the worst. For normal movies and TV, it works fine but playing sports and video games, it will struggle and look very out of focus. There are also many reasons to avoid this TV, as it isn't ideal for a PC monitor or for playing video games including the image flicker. 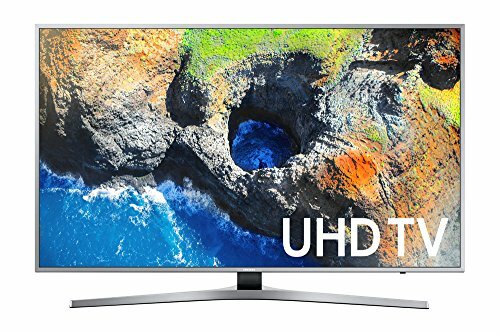 The UN40J5500 doesnt support 4K, as the display is 1080p. While this may not be ideal for those who need a higher resolution, it is standard and wont cause many problems. Therefore, if you want a smart TV that has a lot of extra features and is perfect for sports and video games, this isnt the ideal. However, if you simply want a 40-inch smart TV for your house then this is worth the money. Why We Liked It - Smart interface is the new feature on all great TVs, it might not be the biggest TV ever but its something you will love, and the whole family too! We also love the sleek design this TV has too. Turning away from the best 40 inch TV for households, we consider this non 4K gaming TV. The 40-inch Vizio D40u-D1 TV is perfect for anyone looking to save a lot of money on a PC monitor and still get a great quality picture. It has a fast response time and low input lag meaning your gaming experience will be totally upgrade, this also means it is great for displaying sports without too much blur. However, there are many issues with this 40inch Vizio including the stand, though it is stable and wide if it pushed it can wobble as it stands on legs rather than one stand in the center. The sound quality is also very poor meaning if youre planning on having a TV in your living room, you may need to get speakers if you choose this model. Despite this, it still provides users with a good quality TV at an affordable price, it is basic, but it may be all you need. The 40-inch Vizio D40u-D1 doesnt have a lot of fancy extra features you can use like the smart TVs and its design isnt the best either but for the price, we think it would place well in many homes especially as a PC monitor for video games. Why We Liked It - Gaming is great, what makes it even better is when a TV can react fast to the gaming controls. This TV is even good value for money, so you dont have to worry about wasting your hard-earned cash. 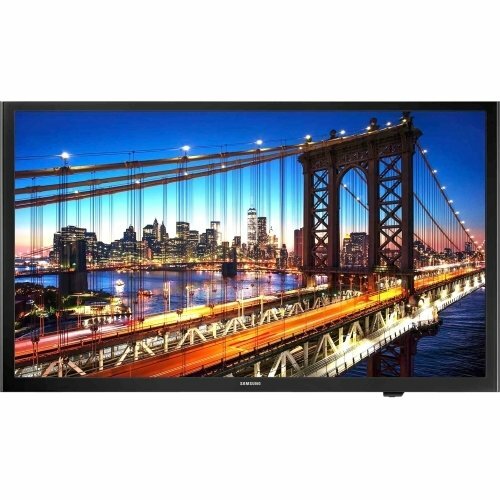 If you have a lower budget and youre looking for a more reasonably-priced 40 inch LED TV then this UN40JU6500 model is a great choice. The overall picture quality is good and works in both dark and light rooms, it is also ideal for rooms with a lot of lights as it has a semi-gloss finish meaning it doesnt reflect light too much. The borders of this TV are small, and it is thin too meaning the sleek, modern design will work well in any rooms in your house. However, since it is a budget option there are a few flaws with this model. It isnt a smart TV meaning you dont get the extra features and it also doesnt have any 24p support so it may struggle to play certain movies. When turned at an angle the color saturation of this TV is lost, and the display becomes difficult to see. This model is fine for playing video games and watching sports, but it isnt the best option. There are many other 40-inch 4K TVs out there that would work better or just the same. One of the biggest advantages of this model is its lower price tag and that it is ideal for families or gamers who dont want to spend a lot on a TV. Why We Liked It - Not everyone can afford a fancy TV but we all do want some great features, this TV offers that! The semi-gloss finish even stops the reflections of any sunlight that may hit the TV too. Sticking with the less expensive and more affordable TV models, the Avera 40EQX20 comes with smart integration and has the basic TV functionalities. If youre looking for the best 40 inch 4K TV, then this isnt it but it does the job and works well. For anyone wanting to stream through their mobile phone onto a TV, this model will do it for you and it looks great quality when you do. It has a 4K resolution and is able to show a wide range of colors through various variations and shades. However, since it is a little less expensive than other models it lacks features that more expensive 4K smart TVs have. It does have measures to combat motion blur, but these are often overlooked when watching sports and movies as it isnt the best quality. It is definitely a model more towards to bottom of the best 40 inch TVs as it needs a lot more work and isnt ideal for everyone. Despite this, it is a still a good quality model with an impressive picture quality. Why We Liked It - Theres nothing better a 4K resolution, pair this with the fact that this model is cheaper than others, its such a great price and quality. This DM40E model is one of Samsungs most popular 40 inch TVs. 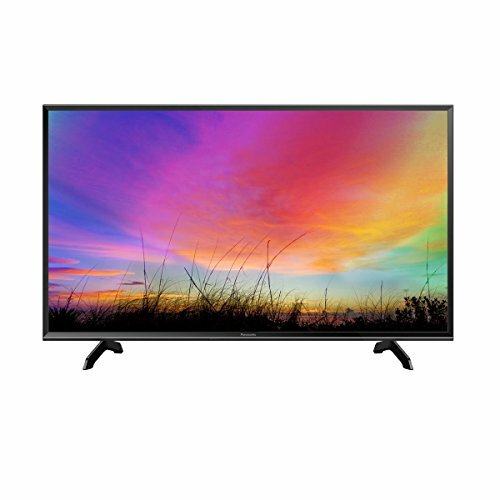 It has a rich color display and a 1080p resolution, although it isnt the best display around, it is perfect for anyone looking for a standard TV they can watch TV programs and movies on. Unlike other TV models on this list, it doesnt come with a stand to keep it stable on flat surfaces and it is recommended anyone who buys it places it on a wall. Despite working well, this model has a lot of flaws. There are no smart features allowing for better performance and the response time is slow for a TV of this price. However, it is ideal for businesses or users who will be utilizing the TV in other ways other than for games and movies. 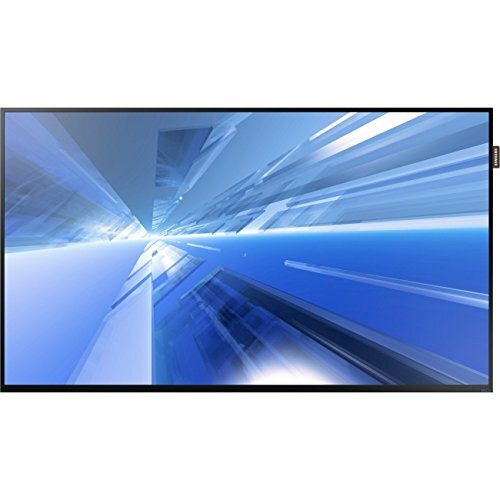 If you wish to have a TV on the wall of your business office, or perhaps you want a constant slideshow on a TV in a certain room of your house, this TV is the ideal. It is set to run constantly for 24 hours a day meaning you dont have to worry about it overheating either. While we think this model is good, there are other choices out there for a similar or cheaper price which should be looked at and researched further before a decision to buy this DM40E model is made. Why We Liked It - Nothing brings life to an office quite like a brand-new TV, you can showcase everything on it. Even if youre looking for something to display a PowerPoint, this is the reason to buy this TV! Its such a good value for money TV. Another 40-inch smart TV that is typically mounted to a wall and used for households is the 40-inch Samsung 693 HG40NF693GF model. It has a 1080p resolution and has extra smart features included which are handy for anyone who wants to make use of them. Despite not being 4K in resolution, it still had a great picture quality and is able to show a range of deep and light colors. 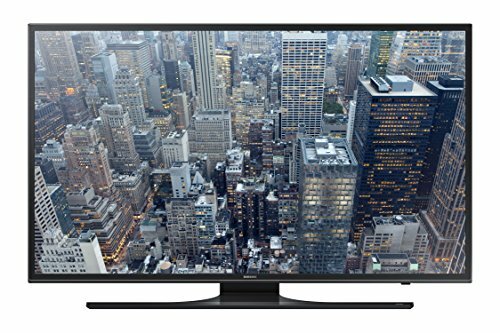 It is particularly useful if youre watching a dark movie or playing a scary game as the blacks are deep and uniform on this 40inch Samsung 693 HG40NF693GF model. It does still have many flaws though and if youre looking into this model then you should be wary of all of its flaws. It is heavyweight and should be handled with caution as it is very fragile. It also doesnt have a stand, so it must be used and mounted on a wall or given its own stand. Despite not having all of the smart features that more expensive TV models have it still has Bluetooth and smart view as well as USB ports and the ability to connect to Wi-Fi. 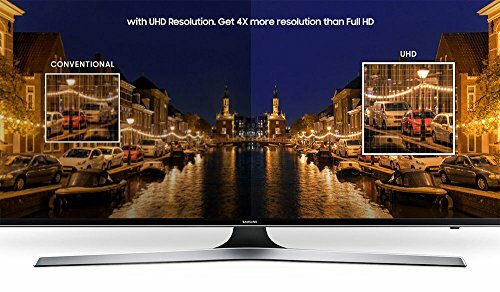 Why We Liked It - A good quality picture makes all the difference so this is perfect for any user who loves Samsung TVs but doesnt want to spend too much either. When youre on the hunt for a new 40-inch 4K LED TV or even a smart TV, you have to consider all of its features as well as important factors. There are certain things you must look out for when youre considering which model to purchase. This ensures you make the most out of your TV and it performs how you want it too. 4K resolution it may not be a necessity but if you want your TV to be future-proof and able to last as long as you need it too then the best resolution to invest in is 4K. While 1080p sets work well, technology is rapidly changing over time and 4K LED is the better option. Typically, 4K resolution TVs are more expensive so if youre looking to save some money then perhaps opt for the 1080p instead. Having a 4K resolution on your family TV completely changes how you experience your favorite movies and programs. 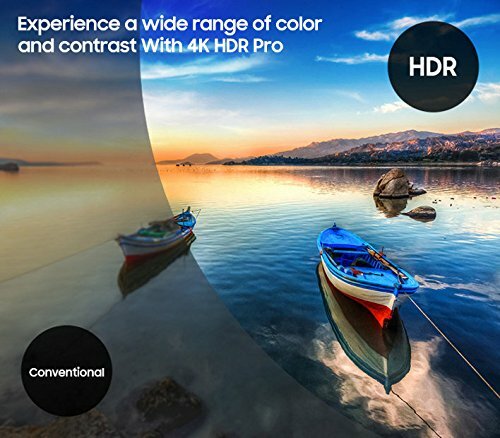 HDR Compatibility this only applies to 4K resolution sets and it stands for high dynamic range HDR. This is a reference to the ability of the TV and how well it is able to deliver colors, increased brightness, and other contrast levels. Having an HDR feature on your TV allows for movies to stand out more and for movies and HDR games to feel even more real when theyre watching something. It is a great feature to have and sometimes comes standard with 40 inches smart TVs so it is worth looking out for it. Extended Warranty although this isnt directly linked to the look or feel of the 40 inch TV itself, it is important to consider. Warranty covers you for any manufacturing errors or damage that may occur while you have the TV and certain companies will give you extended warranties that can last up to 5 years. Eventually, this is likely to save you money as you wont have to get any outsiders to fix your TV, it can go straight back to the TV manufacturer. 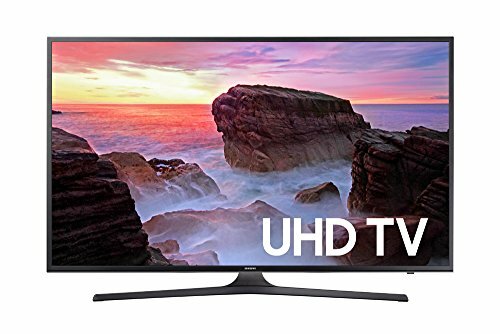 Samsung Electronics UN40MU6300 is considered the best 40-inch Smart TV around, it isnt too expensive, and it still has many extra features that users love. It also has a sleek and modern design so it will be fitting with your home theater. 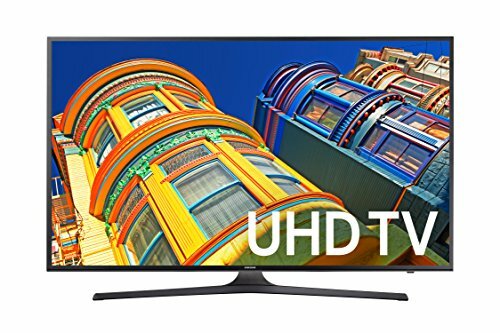 We love this 4K Ultra HD TV and think it is great value for money and provides any user with a perfect viewing experience in a reasonable price range. Samsung UN40J5200 has to be the winner for 4K LED TVs here. It is perfect for anyone who wants something simple but still has a stunning 1080p LED quality. This model works well, and the picture quality is generally great too. Another clear winner in our eyes. There are many different contenders for the best 40-inch TV and Samsung come out on top. Theyre one of the biggest technology supplies in the world and their TV models are always great quality which means you practically cant go wrong investing. The Samsung UN40MU6300 model still tops all the others since it has such unique features and a sleek design that suits any home theater. 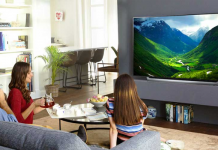 Choosing a smart TV is a difficult decision but we hope this list has helped you in your hunt and that you will soon be sat in front of your dream TV. Dont always opt for the bigger brands and TV models, they may have the most well-known TVs but its often the case that youre paying for the name rather than the quality of TV youre receiving. 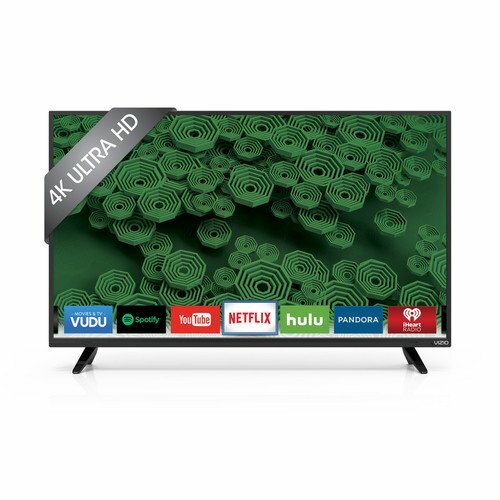 Consider other small brands that get good reviews for their technology, there are a lot of TV models out there that are similar to each other but only differ greatly in price. 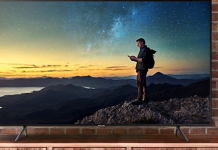 You could potentially save hundreds of dollars by choosing a smaller TV manufacturer. The smart TV was invented in the early 1980s in Japan and was named intelligent television receivers. 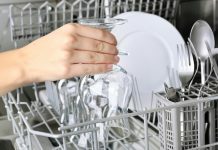 They have since become some of the best and most popular forms of technology and are often found in most households as well as workplaces and schools. Without smart TVs, the technological world would not have advanced as much as it has. It is estimated that by the early 2020s, smart TVs will be the standard models everywhere and soon standard TVs will be dismissed.